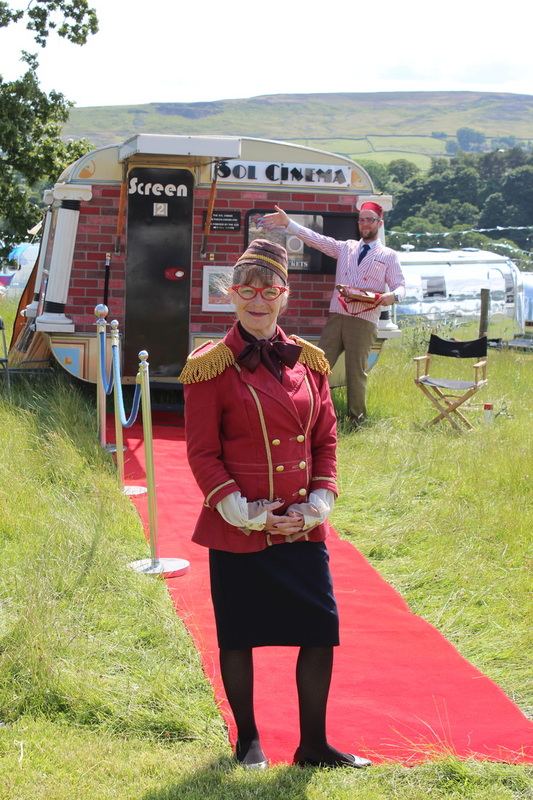 The Sol Cinema is a mobile outdoor cinema in a vintage caravan powered entirely by Solar energy. Turning the Sun into Fun since 2010! We accommodate 8+ adults comfortably for a unique cinematic experience. We offer performance mixed with digital media. See our famous visitors gallery here. We can show your own digital media or we have a unique library of short videos to entertain your guests. 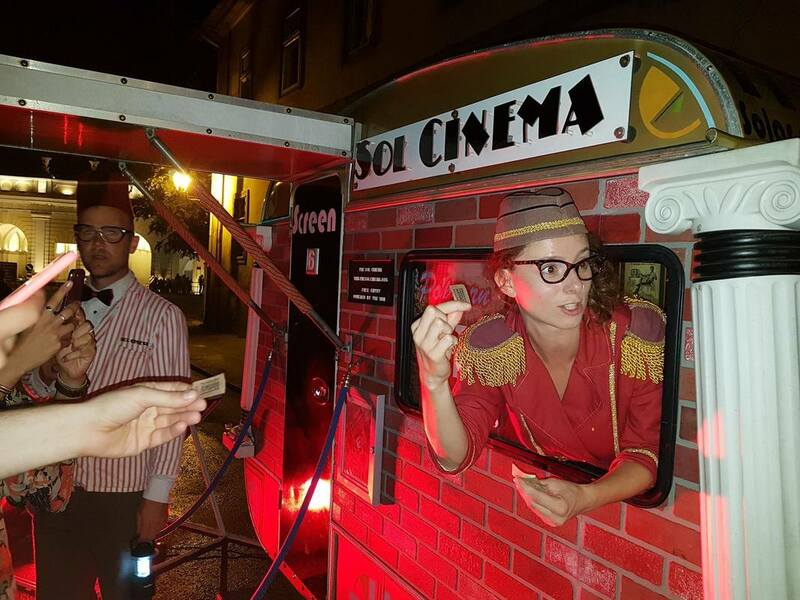 Sol Cinema is the ideal ﻿pop up cinema ﻿for schools, corporate events, for vintage or cosplay & vehicle events. as seen in ripleys believe it or not! What can we offer your event? & popcorn for a one off cinematic experience. Our staff are experienced performers who add a fun dimension to the Sol Cinema experience. The Sol Cinema has been lavished with pride and vintage style. We use a digital video projector showing short movies in plush surroundings. We use a solar generator to store renewable energy from the Sun. Our photovoltaic panel harness the Sunlight into solar batteries. We can perform indoors or outdoors.